The i DISPLAY Retail Tablet S is an Android based 21.5” interactive digital display which is specifically built for retail. It is a robust yet slimline unit that features a capacitive multi touch screen and front camera, embedded Wi-Fi and 3G. 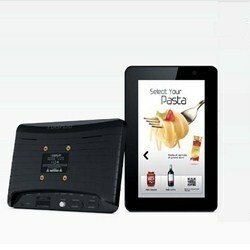 The Retail Tablet’s hardware and software have been designed for commercial and retail use. The i Display Retail Tablet S is the ideal digital point of sale display for retailers looking for an affordable interactive digital signage solution that fits easily in any location! 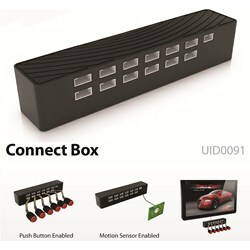 This device has all the connectors in the back side, not as with the standard tablets in the market. In addition it has also VESA mount holes to adapt to wall, floor stand, or desktop. 15.6" Retail Tablet L with Wifi (optional 3G) with VESA mount holes, with buttons or movement detector optionals. 10.2" Retail Tablet M with Wifi (optional 3G) with VESA mount holes, with buttons or movement detector optionals. 7" Retail Tablet S with Wifi (optional 3G) with VESA mount holes, with buttons or movement detector optionals. 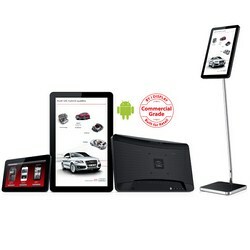 18.5" Retail Tablet XL with Wifi (optional 3G) with VESA mount holes, with buttons or movement detector optionals. 21.5" Retail Tablet XXL with Wifi (optional 3G) with VESA mount holes, with buttons or movement detector optionals.